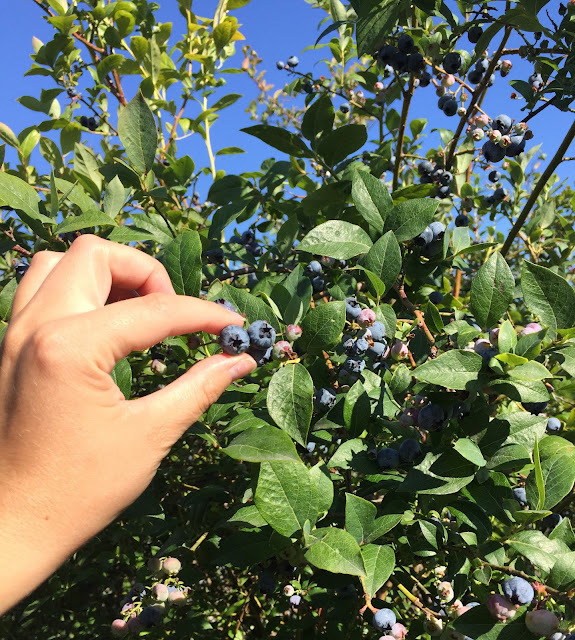 I work just outside of the city so I'm always passing by farmers marketing and blueberry patches. I don't know what it is about Vancouver but I have never seen so many blueberry farms in my whole life! There are rows and rows of blueberry farms! I stopped by one on my way home from work and picked a whole bundle of blueberries.